What could be better than being out and about, cycling along the banks of lakes, and just letting your spirit soar in a marvellous natural landscape? The cycling tour through the Salzkammergut is wonderfully suited for this. Only a few kilometres beyond Salzburg, you will be greeted by the luxury of a unique natural panorama. 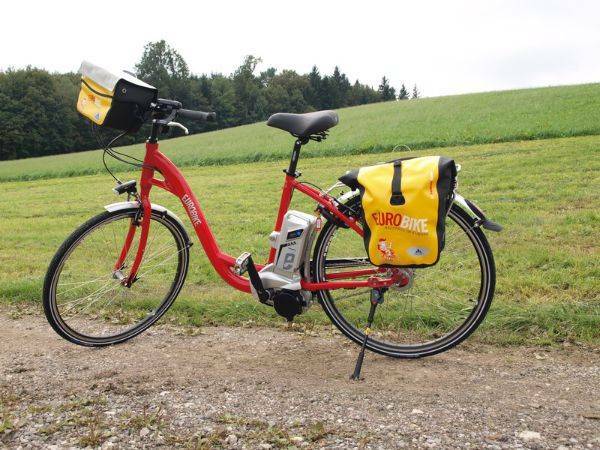 You will cycle through meadows and also to the old imperial town of Bad Ischl. In a way, you will be travelling a whole world of clichés transformed into realities. This tour is active recreation, experiencing nature and enjoying many attractions, such as the mountain Schafberg and the Hallstätter See region. 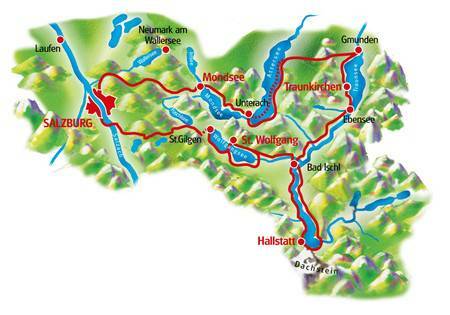 On the banks of the lakes and at the river Salzach, the routes are completely flat. In between, the terrain is mainly hilly. Depending on the option chosen, approximately one third of the route is on cycle paths and almost all the rest is through fields and on forest paths, farm roads, and quiet side roads. There are only a few short sections on minor roads with traffic. Salzkammergut and Austrian Lakelands from Freewheel Holidays on Vimeo. Exiting Oberndorf is slightly challenging, since our E-arrow markings always get taken down. Please follow your route description carefully! From Oberndorf there are several ascents to be tackled. Along the river Salzach the terrain is completely flat, after that a few ascents. Terrain until Neumarkt depends on the location of your accommodation. Boat ride from Unterach (10:15) to Weyregg (11:23). Arrivals 01.07. – 31.08. During the other seasons you cycle the route along Lake Attersee. From Hallstatt we recommend a boat trip or riding along the East side of the lake! You can already cycle from the train station Obertraun along the East side of the lake. Simply follow the R2. Bike ride to St. Wolfgang. 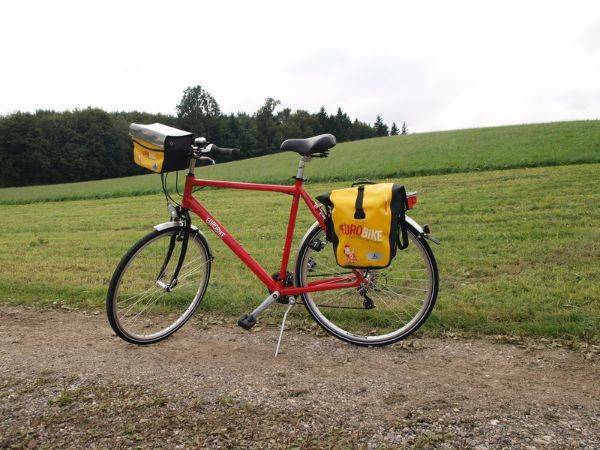 Walking tour Kühleiten/Tiefbrunnau: Bike return by 10 am at the latest at the car park on the bypass B 158 from St. Gilgen. Please wait for the driver, since the bikes need to stay unlocked. Follow the marked walking path no. 854 for approx. 1 hour up to the Kühleitenalm, from there continue for another 20 mins downhill along the road until the Laimerbauer farm. Please wear proper shoes (trainers, bike trainers). Bikes are ready for you by 11.30am at the latest at the Laimerbauer farm. Please watch out for the turn-off to Elsbethen (at the inn ‚Gasthof Neuhäusl) after you exit the Strubklamm ravine and before the Wiestal-reservoir. From Glasenbach we recommend a detour to Hellbrunn palace! The route can be extended via Hallein. Option to cycle around Lake Hintersee. All starting hotels are either within walking distance or about 1-1.5km away from the central station. Taxi fare costs approx. €7 to €10. Hotel Holiday Inn, Hotel Mercure and Hotel Ganslhof can also be reached by public transport, take city bus #2 to stop Vogelweiderstrasse (approx. 3 minutes to the hotels from here), it costs approx €3 per person and takes about 10 minutes. Salzburg Airport W.A. Mozart: Continue by taxi (approx €15 to €20) or by bus n°2 (approx €3) to Salzburg main station. Munich Airport Franz Josef Strauß: by train to Salzburg, one change at München Ost. It costs approx. €45 per person. 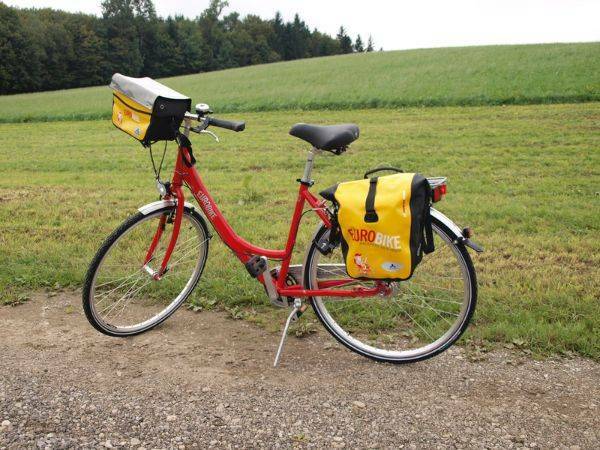 The Austrian Lakes cycling holiday includes the daily transfer of luggage to the next hotel and local support if required.